EMAIL accounts are getting swamped more and more each year. With reports of more than 205 billion emails sent and received each day and a 5% increase expected every 365 days, it’s safe to say that there is a real battle going on in everyone’s inbox. Businesses everywhere are trying to win this battle and be more visible to subscribers. Everyone is constantly talking engagement and discovering different ways to increase interaction. But, that conversation overlooks a crucial component in any email marketing strategy: delivery of your emails. When it comes down to it, your first priority needs to be making sure your message actually reaches your subscribers. Here are some best practices, tips and methods for ways to do just that. Before you send your first (or next) email, there are some things you should know. These are the most basic of best practices and will help set you up for success with each message you send. Never (and I mean NEVER) purchase an email list. As much as it sounds tempting to get your hands on a huge number of email addresses, this is a practice you should avoid at all costs. As a trustworthy, credible online marketer there is no point in buying a list. Sending emails to users who haven’t willingly provided their addresses to you only leads to a large number of unopened or reported emails, which will have a negative effect on your reputation. Plus, you have no way of knowing whether those addresses are even remotely relevant to your business, or if they are real emails in the first place. So, from a business standpoint alone – if purchased lists contain fake or typo ridden email addresses or even users who aren’t in your target group, your email campaign would be in vain, as no results would come from it. That is a huge waste. On the other hand, building an email list does require time and effort, but is worth it. You’ll know that the emails collected belong to real subscribers who are genuinely interested in your brand! Another step in improving email deliverability is to establish a recognizable domain name. If you have your own website, instead of using external services, send emails from your own domain. Users who have signed up via your website and provided their email address will recognize your domain and associate your brand with the site they already visited. This is a great way to up your credibility and maintain consistency for visitors and subscribers alike. Don’t have your own site just yet? Not to worry. There are services out there like NameCheap that offer custom Domain Forwarding, so you can still begin establishing yourself in a more credible way. If someone chooses to whitelist you, it means that you have been added to the safe senders list of that recipient. Not only does this mean that the recipient in question will successfully receive all your future emails, but such action is also considered by ISPs and ESPs to be a good signal. Getting whitelisted gives credibility to your email address and improves your reputation. Start off on the right foot, and ask subscribers to take this step as soon as they join your list. Want to learn a really easy way to be whitelisted by new subscribers? Read this great post to do just that while also increasing engagement. 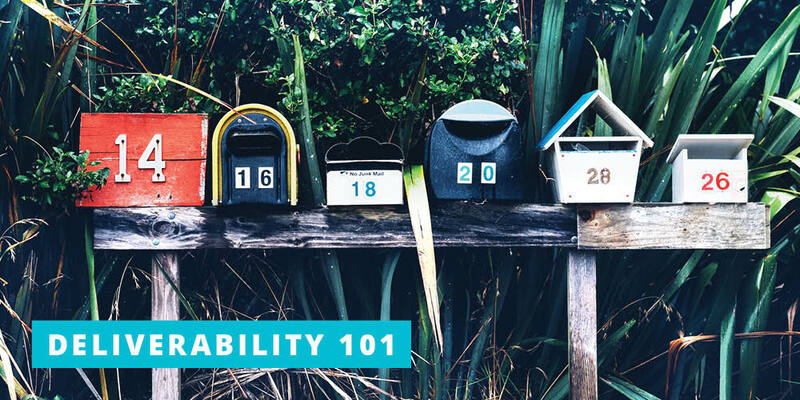 Once you’ve started to focus on getting your emails to subscribers inboxes, it’s important that you assess your deliverability with each message you send. Email management tools, such as Sendlane, provide insights related to many different aspects of your email campaigns. Analysis of these metrics help you conclude the efficiency of your sending, as well as the engagement of your subscribers. Once you know where you stand, it’s important to use the information wisely. But, you also need to have a frame of reference. MailChimp compiled some really useful Email Marketing Benchmarks that should help you interpret your stats based on the size of your business. If you need to do some work, there are a few key places that often have room for improvement. Bounce rate in an email campaign is the percentage of sent messages that are returned by a recipient’s email host. Or, the number of emails that were not delivered, which clearly is not a good thing when talking deliverability! In both of these cases, your message didn’t reach its intended recipient. Cleaning up your list (aka performing list hygiene) from time to time is a great way to prevent additional bounces. List hygiene has the added bonus of helping reduce spam complaints and avoiding spam traps by helping you remove any subscribers with consistently poor engagement. This probably sounds obvious, but while we all know spam is a bad thing, you may not know why, or how to prevent being labeled as such. If you’re new to email marketing, take a minute and learn about the CAN-SPAM Act before you move on. Being marked as spam by a subscriber will send any future emails directly to spam for that email account. Not only that, but it also serves as a negative signal to Internet Service Providers (ISPs) & Email Service Providers (ESPs) who will then monitor your activity. 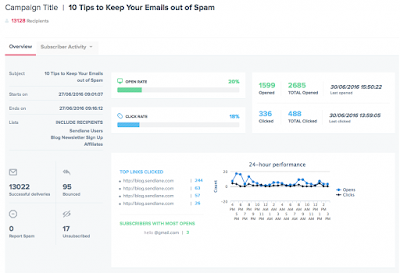 If you receive a number of spam complaints from different subscribers, this will significantly increase the chances of your emails automatically being filtered as spam every time you hit send. Of course, this will have a negative effect on email deliverability and you will not see valuable results from the campaign. Quick Note about this – Fluctuations in frequency, timing, or anything that conveys erratic behavior can be negative, not only in terms of spam, but also engagement. If you overwhelm your list with too many messages, neglect them with too few, or confuse them by sending sporadically/inconsistently or stopping & starting back up, subscribers are more likely to mark you as spam. Those that don’t will probably view you as an unreliable resource, lose interest or forget why they subscribed in the first place. Consistency is key! These are just a few tips to help with deliverability. Want to read up on a few more? 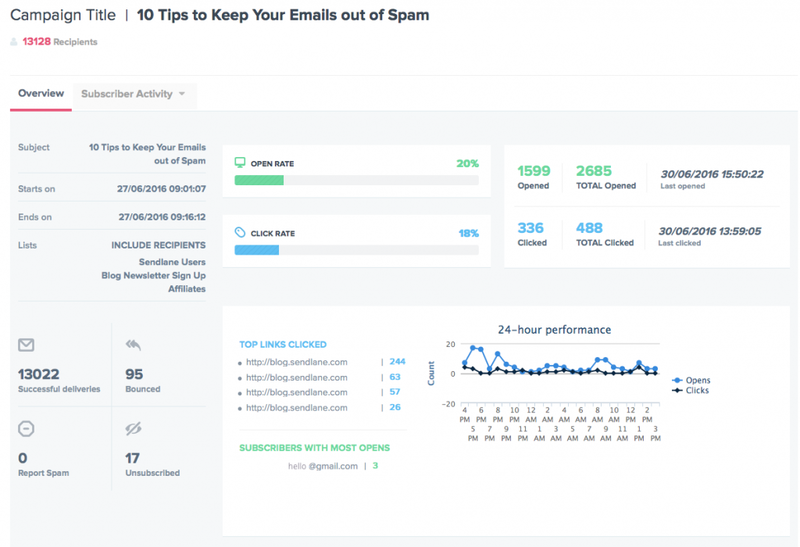 Check out these 10 Tips to Keep Your Marketing Emails Out of the Spam Folder from Sendlane. With 83% of email delivery failures reportedly caused by sending reputation issues, this is clearly something you need to pay attention to. Your reputation is taken into account by ISPs and ESPs and basically determines whether an email you send will reach an inbox – versus junk or spam folders – or be blocked entirely. A better reputation will increase the number of delivered emails, while having a negative reputation might result in your message never being seen. If you send a large number of emails each month, it is time for you to be proactive. Most Autoresponder tools provide built-in reporting, which is a great start. To really go above the standard, take a look at this great article from SendGrid about 5 Ways to Check Your Sending Reputation. Keep in mind that investigating your sending rep will not solve all of your email deliverability problems but it is an important step in knowing where to make adjustments. Even though online users receive a TON of emails on a daily basis, the benefits of email marketing are still huge. Combine healthy email habits with analyzing your campaign performance and knowing your sending reputation to increase deliverability. Since you know the basics of how to improve email deliverability, what’s next? Be sure you learn what words to avoid and how to avoid the Gmail promotional tab. It is worth investing time into exploring these techniques and applying them in your own campaigns. Soon enough, you’ll see the results of messages arriving directly in subscribers inboxes! If you found these techniques helpful, chances are other email marketers will too. Please Like and Share this post to spread the word.